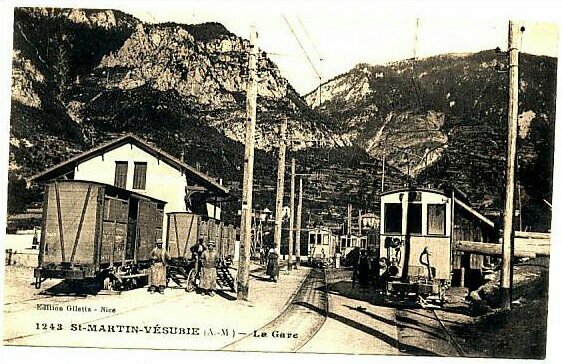 At much the same time as a network of metre gauge lines was being built in Var and the Alpes Maritimes, smaller towns were seeking cheaper ways still to connect to the outside world. 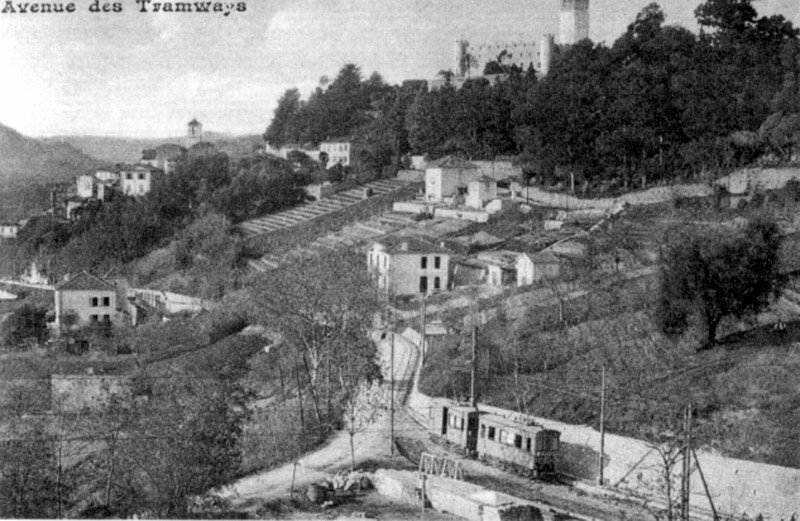 A number of electric tramways were built usually following the line of what are now roads. 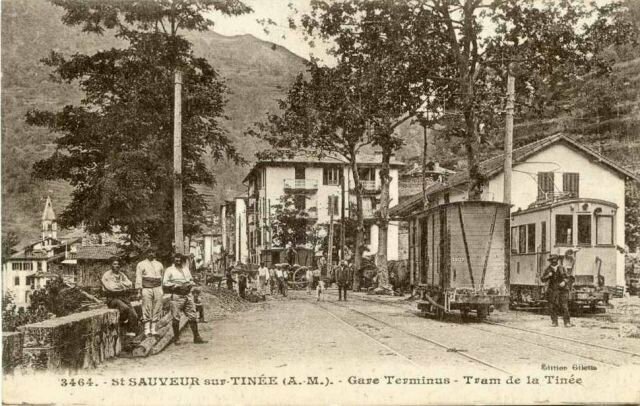 The Sospel to Menton tramway is one of these but there were many more. The map shows just how many! Along with three lines (Nice-Digne; Meyrargues-Nice; and Toulon-St-Raphael), a network of seven electric tramway lines were built as part of the Chemins de Fer du Sud. 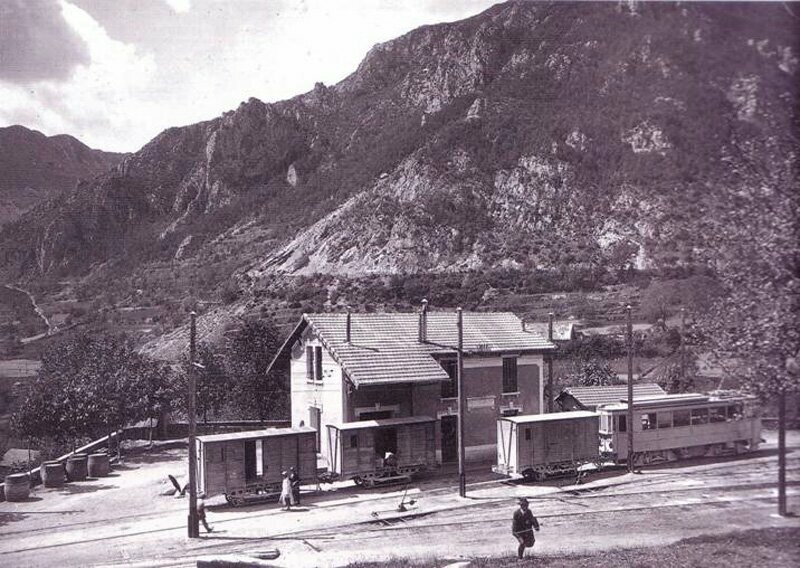 In August 1909 a line from Plan-du-Var reached St-Martin-Vésubie (33.8 km). In December 1911, a network around Cagnes-Sur-Mer and Grasse serving Pré-du-Lac, Grasse, and Cagnes-PLM (25 km). A line from Villeneuve to Vence was inaugurated on the same day (11km). April 1912 saw the commissioning the line to La Mescla-St-Sauveur-sur Tinée (23.8 km) In October 191a short line to Bar (3.2 km) was established. Finally, after the war (1914-1918), the last two lines, Pont de Gueydan-Rabbets (19.1 km) and Pont Charles Albert Roquestéron (28.6 km) were completed. This entry was posted in Railways Blog on December 13, 2013 by rogerfarnworth.